Earl Nightingale suggested that the human mind was far more fertile ground and has far greater potential than any plot of land. However, it works in the same manner: what you sow into the eld of your mind will produce a crop in your life. Thoughts are things. 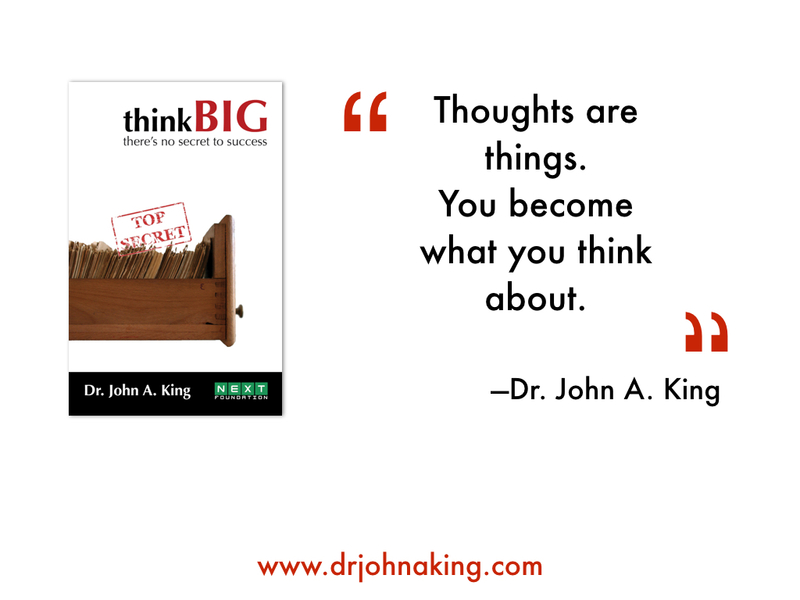 You become what you think about. While reading the business section of the USA Today, I noticed two juxtaposed articles. The first article was about two unemployed brothers. They had just won a million dollars from a super bowl advertisement they had created on their home computer for about two hundred dollars. The other article was about people being fearful due to the condition of the economy, scared about the future and their jobs. The article described how they were all running out, selling their houses and sharing bedrooms, just in case something bad happened to them economically. Same paper, same economy- two sets of people, each with two different mindsets, both sowing different seeds. Someone is going to make a whole lot of money in this economy. Someone is going to come up with new business ideas and make enough money to leave an inheritance to their children’s children in this economy, while others huddle together fearfully waiting for the sky to fall. The economy is not the determining factor in your nancial success—you are! Because you become what you think about. If you focus on failure, or on what happened the last time you tried this, or how your friend tried to start a business and failed, or how no one in your family never received a college education–if those are the seeds you are planting into the soil of you mind–you are right. You will never do it. You will never obtain it. You will never succeed, because thoughts are things.